Research into the pairing of digital and physical objects into something called a digital twin was introduced by NASA and the U.S. Air Force. The concept was first conceived by Michael Grieves of the University of Michigan in 2002. This pairing between physical and digital has since gone beyond vehicles and is now at the forefront of digital transformation and the Internet of Things. What if we manage the machine this way? What is the most efficient way to configure it? How can we ensure it’s the safest machine? How can we ensure it never goes down? See. The system learns through operational and environmental data to update users of potential problems. Think. 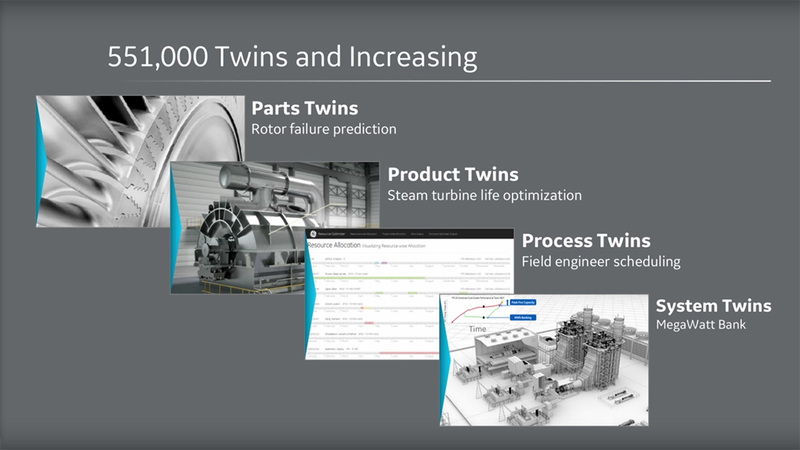 The digital twin assesses historical data and runs simulations to reason out options based on the most optimal choices. Do. The machine informs the user regarding what action is being executed either manually or through an app downloaded on the edge. According to Dr. Colin, the do stage is all about informing us and acting using edge controls, executing what needs to be done. Part twins: Deliver early warning about problems and tells you about the actual failures you will encounter. Product twins: Optimize the remaining life of any asset against maintenance costs. Process twins: Find ways to optimize field engineers to maximize utilization. System twins: Seek ways to optimize within many key performance indicators (KPIs) and balance things such as revenue against the remaining life of the system or maintenance costs. Asset Performance Management applications, which combine digital twin data models and advanced analytics to reduce unplanned asset downtime, improve reliability and availability, minimize costs, and reduce operational risks. Brilliant Manufacturing solutions, which leverage digital twin models to help manufacturers optimize plant operations and compress cycle times between market demand and production. 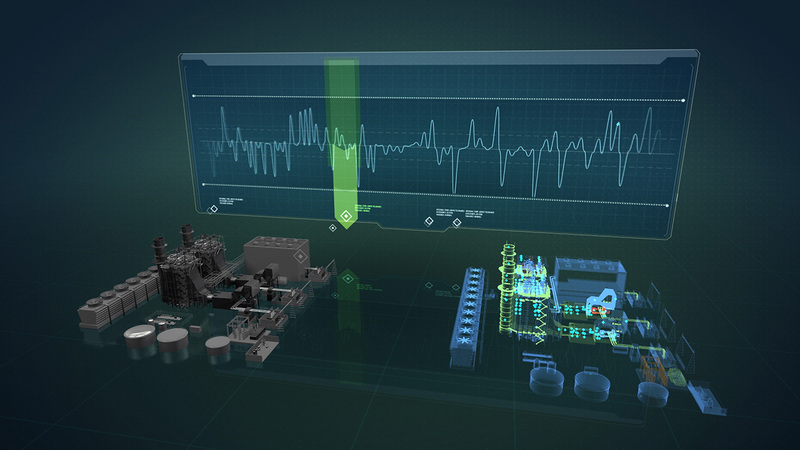 HMI and SCADA products, which use real-time digital twin models to help operators in manufacturing and infrastructure industries implement intelligent control applications. In one of our previous posts, we detailed how OAG has been using Predix analytics to improve data gathering, field exploration, and production in oil and gas drilling. Using digital twins, the company aims at optimizing drilling wells, engaging “horizontal drilling and multi-stage fracking,” and therefore making field exploration more efficient. 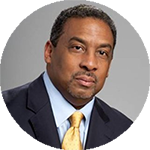 Earlier this month, OAG’s Luther Birdzell also led a webinar on the topic. 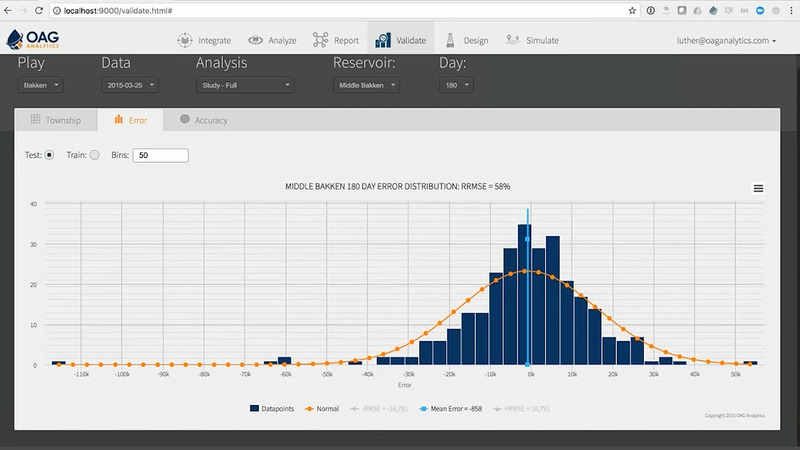 Watch the recording to learn more about using digital twins and Predix for optimizing drilling wells. 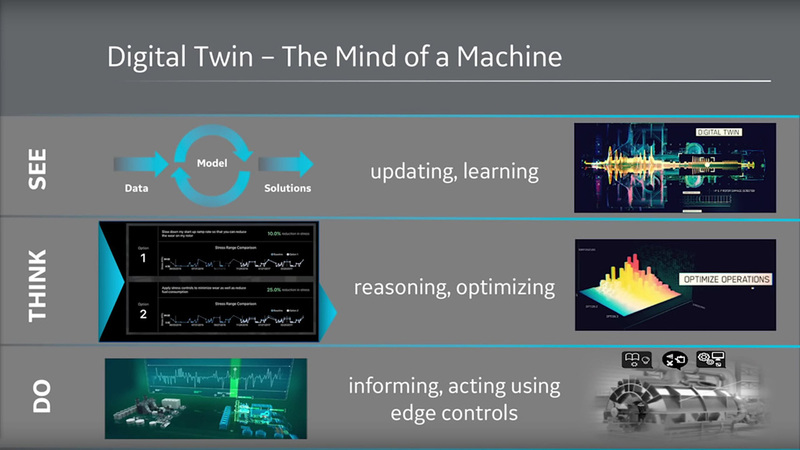 In a Predix meetup last year, Dr. Ahmed El Adl talked about the next evolution of the digital twins, which he called cognitive digital twins (CDT). Dr. Ahmed also detailed what characteristics CDTs should possess. 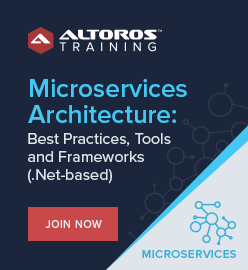 Firstly, CDTs represent highly interconnected distributed cognitive systems and, in some cases, are very large complex systems of systems. Existing in the digital space, they will evolve over time to keep up with the transformation of their physical twins. By continuously evolving, CDTs will be able to autonomously take contextual decisions and execute more complex tasks in the digital, as well as the physical world (experience-driven behavior). Thus, both CDTs and their physical twins will learn over time to identify, create, and provide new services, which their early immature versions could not offer. The early generations of CDTs will have less intelligence and do a lot of mistakes. However, the following generations will be smarter by allowing them to try new things, do mistakes, and autonomously learn out of it. Furthermore, they will have the abilities of physical and digital self-diagnostic and self-healing. Spanning physical and digital systems, CDTs probably will be able to do it with us, humans. CDTs will be able to act, interact, and collaborate across domains, physical, and virtual worlds. What’s more, there may be or may be not have physical twins for the cognitive digital ones. 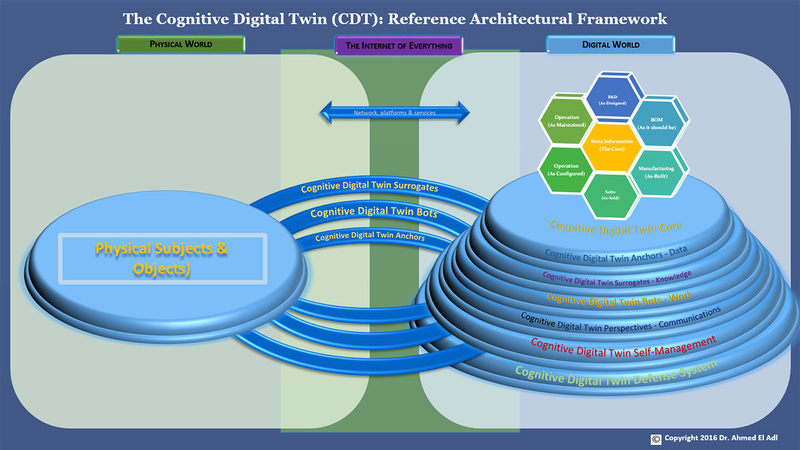 Finally, cognitive digital twins will create a new massive economy around semi- or fully automated digital smart services defined and offered by the CDTs themselves in collaboration with the physical twin(s) and possibly humans partners. For more information about CDTs, please follow Dr. Ahmed’s publication and/or watch his talk below. William Ruh is the chief executive officer for GE Digital, as well as the senior vice president and Chief Digital Officer (CDO) for GE. 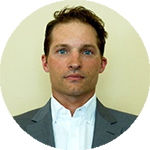 As the CDO, Mr. Ruh is responsible for global IT and creating a next generation system for streamlining design, manufacturing, and support processes. Mr. Ruh joined GE in 2011 to establish its Industrial Internet strategy and to lead the convergence of the physical and digital worlds within GE globally. 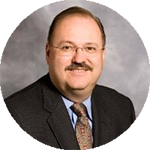 Prior to this, Mr. Ruh was vice president at Cisco and held executive management positions at Software AG, Inc., The Advisory Board, The MITRE Corporation, and Concept 5 Technologies. Colin Parris is the vice president for GE Software Research. He is at the forefront of GE’s transformation into the world’s leading digital industrial company. Collin leads a team of software, systems, and analytics experts researching the ways data can impact industry. His role encompasses partnerships with GE’s businesses, partners, and clients. Prior to joining GE in 2014, Colin spent two decades working at IBM, serving most recently as the Vice President, Systems Research in the IBM TJ Watson Research Division. He also served as the General Manager for IBM’s Power Systems business and was responsible for all business operations for the $5-billion business. Luther Birdzell is an engineer, data scientist, and entrepreneur. For 20+ years, he has been teaching computers how to represent high-cost digital and physical assets. In this field, Luther’s contributions include an AI-enabled deep cycle lithium battery simulation system. He had the strategic vision that lead to commercializing tools to replace expensive data center assets with low-cost software during development and testing, which Computer Associates acquired in 2011. He also founded OAG Analytics to establish a new analytics standard for core planning functions in the upstream oil and gas industry. Luther holds two electrical engineering degrees from Dartmouth College. 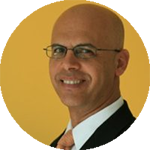 Ahmed El Adl is a technology-thought leader and change agent with a proven track record of achievements. His current focus is to combine his experience in robotics and intelligent machines with his experience in different leadership roles building complex software platforms and solutions to make the IoT-enabled smarter life a reality. 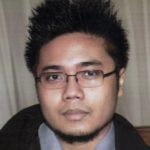 Ahmed also serves as a member of the Advisory Board for different global conferences and companies with focus on innovative IT and OT technologies for the era of Digital Enterprise 2.0, Industry 4.0, and Internet of Everything.